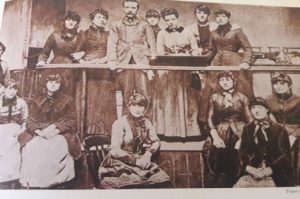 On 5th July 1888, approximately 1400 female workers walked out of Bryant and May’s match making factory in Bow, East London, in protest over low pay and poor working conditions. Each woman and girl worked 12- to 14-hour days in hot and unventilated rooms to make and pack match boxes in order to earn an average piece rate wage of around 8 shillings per week; skilled male labourers could expect around 40 shillings. 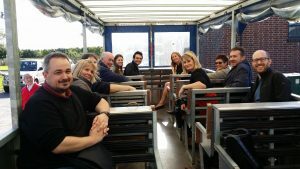 Prompted by the perceived unfair dismissal of one of the workers, one woman reported that the strike ‘just went like tinder, one girl began, and the rest said ‘yes’ so out we all went’. Match production stopped for 16 days. The strike finally ended after the workers accepted a number of concessions offered by the company. These concessions included the abolition of the system of fining workers for being late, deductions from wages to cover cost of paste and brushes and the recognition of the Union of Women Match Makers by management. The match girls’ strike, as the 16 day walk out of women workers famously became known, shaped the future of Britain’s labour movement. As the first strike by unskilled women workers in Britain, this moment was hugely significant in the rise of New Unionism of the late 1880s and 1890s. It was the prelude to a wave of strikes that swept the country, the most famous of which was the Great Dock Strike of 1889. Workers across Britain were no longer willing to accept their poor working conditions and began to demand more from their employers. This wave of strike action resulted in the unionization of tens of thousands of unskilled and semi-skilled workers and sowed the seeds of the Independent Labour Party (ILP). Moreover, the Union of Women Match Makers had a long legacy; it was one of only a few unions that survived the turbulent years after the peak of New Unionism and was still going strong into the 1930s. This spectre of an identifiable industrial disease was a powerful weapon not only in the political struggles around working conditions, but also in debates over the degree to which the state should regulate the twenty five match making companies across Britain. State regulations of the late 1890s enhanced worker hygiene through the provision of soap, water and free toothbrushes and toothpaste; improved factory ventilation to prevent phosphorous fumes spreading all over the factory, as well as the separation of dangerous manufacturing processes; and provided medical examinations of anyone with reported toothache. 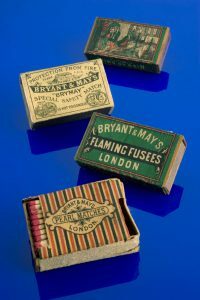 It was a legal requirement for all match factories to employ a resident dentist by 1900 and Bryant and May employed one from 1898. Yet, some match making firms pushed back against new regulation. The underreporting of cases of workers with phossy jaw was rife in the Bryant and May factory. There was also a strong suspicion of collusion between medical practitioners and employers to conceal phossy jaw cases and evidence of at least one case of company intimidation by threats of lost income. Mrs Lean, whose son had died of phosphorous necrosis, was told ‘if I called another doctor in, the pay (ie the sick pay from the firm of 29 shillings a week) would be stopped.’ Prohibiting the use phosphorous in match making production would have decisively ended phossy jaw outbreaks, but such action was quickly dismissed because ‘strike anywhere’ matches were so popular and formed a vital part of Britain national and global trade. 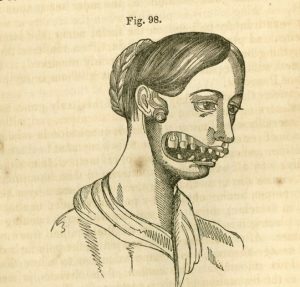 Phossy jaw only disappeared as an industrial disease once phosphorous was outlawed in 1910, but the effects of the discussions and events of the preceding decades, and indeed those who took part in them, should not be underestimated. Barbara Harrison, ‘Not Only the Dangerous Trades:’ Women’s Works and Health in Britain, 1880-1914, (Taylor Francis, 1996). In the closing months of 1929 the women of Nigeria rose up against British colonialism in a coordinated effort that has subsequently become known as the ‘Women’s War’. Rioting against the power of British-imposed Warrant Chiefs, women from the Igbo ethnic community congregated in their thousands, re-mobilising the traditional practice of ‘sitting on a man’ as a form of anti-colonial and anti-corruption collective action. Ostensibly a revolt against the imposition of a tax specific to Nigerian women, whose marketplace activities allowed them a level of financial independence from their husbands at the same time as supporting their families, the causes of the revolt can be traced back to the imposition of Indirect Rule in Nigeria under Lord Lugard in 1914. The Women’s War was a co-ordinated strategic rejection of British colonialism, and led to reforms in the way the colony was ruled, as well as the abolition of the women’s tax itself. Lord Frederick Lugard was famously the architect of indirect rule in Nigeria, a policy by which the British handpicked local African elites who were friendly to colonial rule as ‘Warrant Chiefs’, responsible for the day-to-day running of the colony, and in particular the administering of the law, the organisation of labour, and the levying of taxes. The appointment of the Warrant Chiefs was not only an attempt to have ‘colonialism on the cheap’ on the part of the British, but also to impose British notions of colonial hierarchy – including changes to the gender relations of the people. While in Igbo culture, women and men worked collectively, the British imposed systems of forced labour and taxation that pushed women into what they considered their rightful place: the domestic sphere. When they attempted to tax women’s economic activities (the selling of palm-oil) in 1929, rioting and protest ensued. The women of the ‘Aba Women’s Riots’ (as they were known by the British) cleverly fused traditional forms of protest with collective action against the colonial state. They embarrassed the local Warrant Chiefs by ‘sitting on’ them – a ritual action involving dance, lewd gestures, songs and noise. At the same time, though, they attacked Native Court buildings, cut down telegraph wires, and damaged banks, post offices and factories – all seen as manifestations of white colonial oppression. Thousands of women were involved, and many more suffered from the reaction of the British, who burnt down villages as collective punishment, and fired into crowds of protesting women. 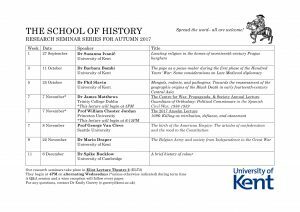 In one incident at Opobo on 16th December eighteen women died at the hands of colonial troops, leading to questions in Parliament back in Britain. Female protesters involved in the Women’s War were savvy and determined. They wore palm leaves as a link to the economic roots of their discontent, they mobilised traditional practices of protest through marching, singing and dance, and they disrupted the administrative mechanisms of the colonial state. Despite attempts in the British press to put this down to female ‘hysteria’, the Women’s War is an example of collective and organised female political and economic action. The British introduced reforms to the Warrant Chief system in an attempt to curb corruption, and abolished the women’s tax itself. Women also became involved in administration, but continued their action when necessary in future disputes such as the Tax Protests of 1938 and the Oil Mill Protests of the 1940s. 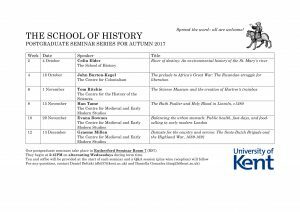 This year, our research seminars will take place on alternating Wednesdays (weeks 1,3,5,7,9, & 11) in term time at 4PM in Eliot Lecture Theatre 2 (ELT2). 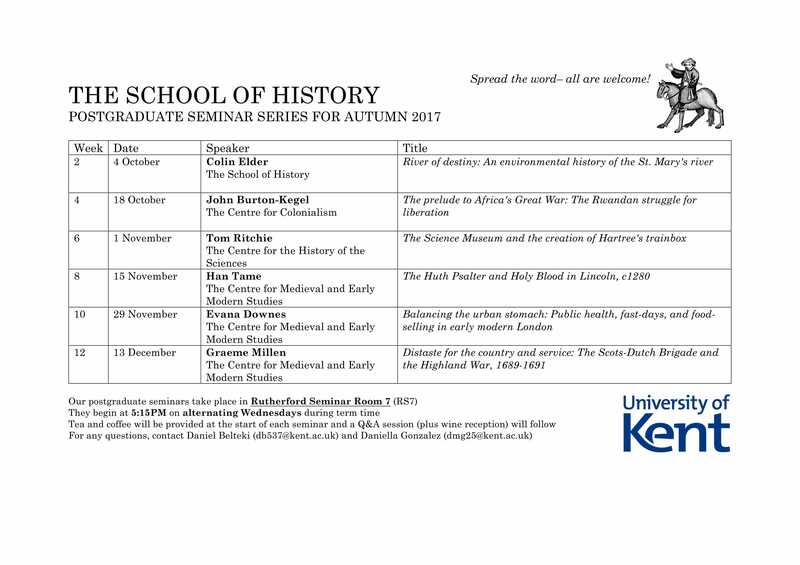 We also have an excellent line-up of post-graduate seminars that will take place at 5:15PM in Rutherford Seminar Room 7 (RS7) on the other Wednesdays (weeks 2, 4, 6, 8, 10, & 12). 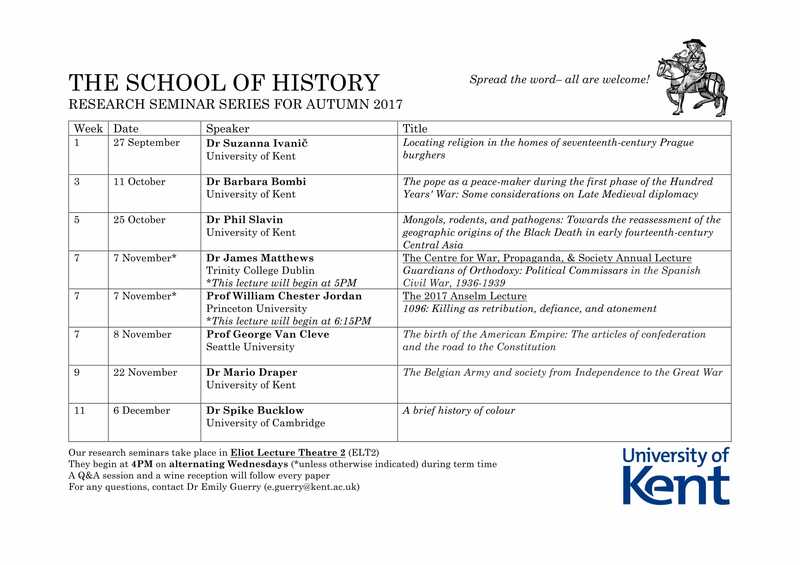 Please see the attached schedule for a full list of speakers. 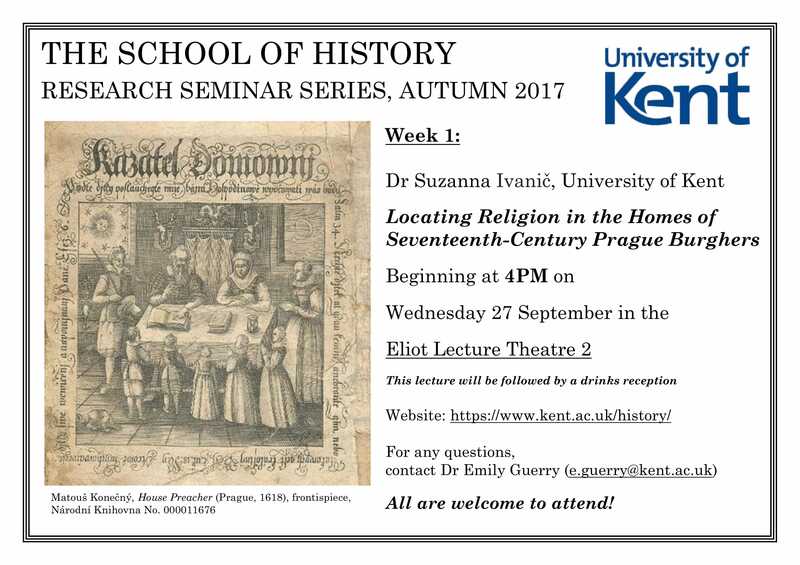 In week 1 (at 4PM on Wednesday 27 September), we are delighted to welcome Dr Suzanna Ivanič, a new lecturer in Early Modern History here at the University of Kent. The title of her paper is Locating Religion in the Homes of Seventeenth-Century Prague Burghers. 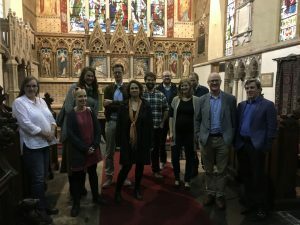 A recent focus on religion in the home has provided fertile new evidence about lived religion – the beliefs, practices and identities of the faithful in an everyday context – but, what if we interrogate the relationship between the home and religion more thoroughly? How does religion change as it crosses the threshold? Is ‘domestic devotion’ really more unorthodox and individualistic? 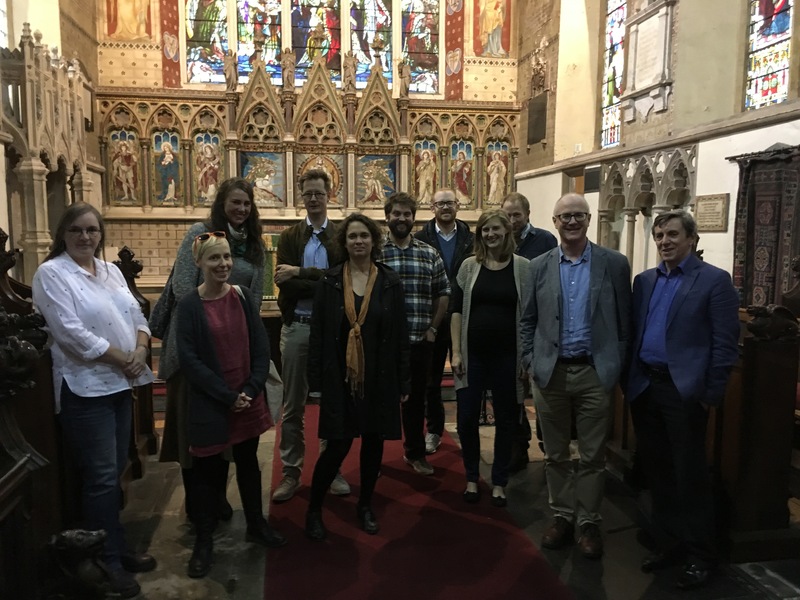 What do we mean by ‘domesticating’ religion? It is now well-established that not only Protestants, but also Catholics, practised religion in their homes in early modern Europe. By analysing inventories and objects from the multiconfessional setting of Prague across the seventeenth century, this paper explores the differences in domestic religious practice between confessions, how domestic space enabled unique aspects of devotion (‘private’ forms or particular rituals focusing on doors and beds, for example), and how objects that came into the home could either subvert or reinforce orthodoxy and orthopraxy within this extra-ecclesiastical space. As ever, a drinks reception will follow this seminar. Please see the attached poster for more information. 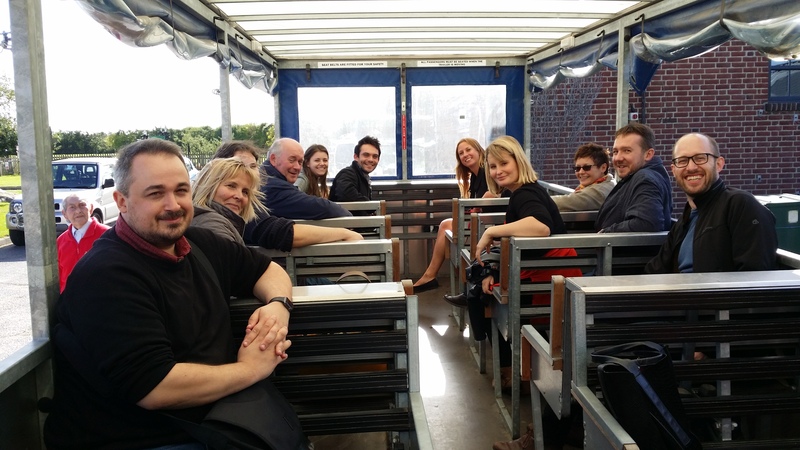 Such a lovely and productive day on Wednesday! 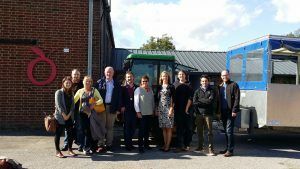 The School of History Away Day was held on Wednesday 13 September at Brogdale, Faversham, with thirty-seven members of staff in attendance. 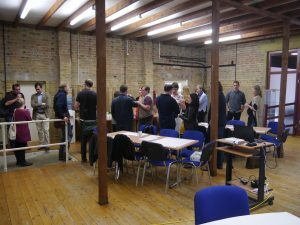 The event focused on key aspects such as recruitment and education, as well as offering attendees the opportunity to raise issues and share their own views. 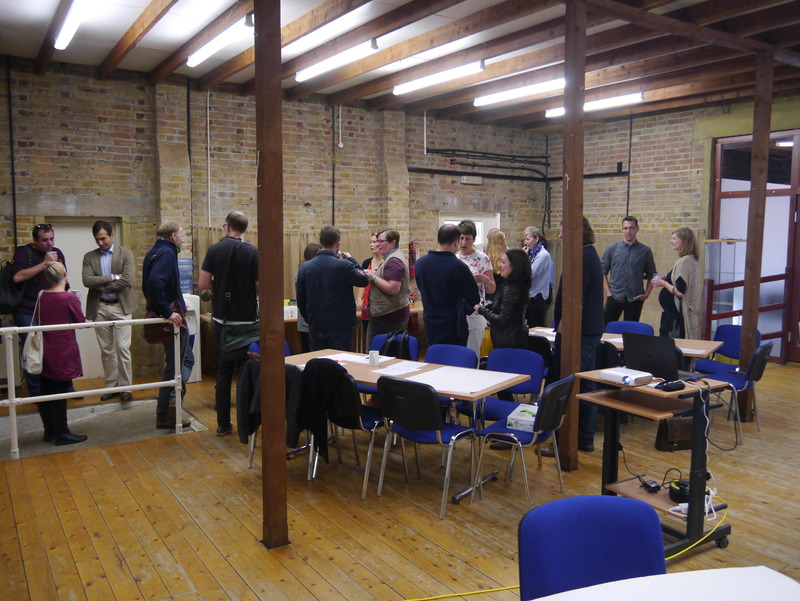 The event was very well received, with a great of positive feedback highlighting areas of improvement and future development. 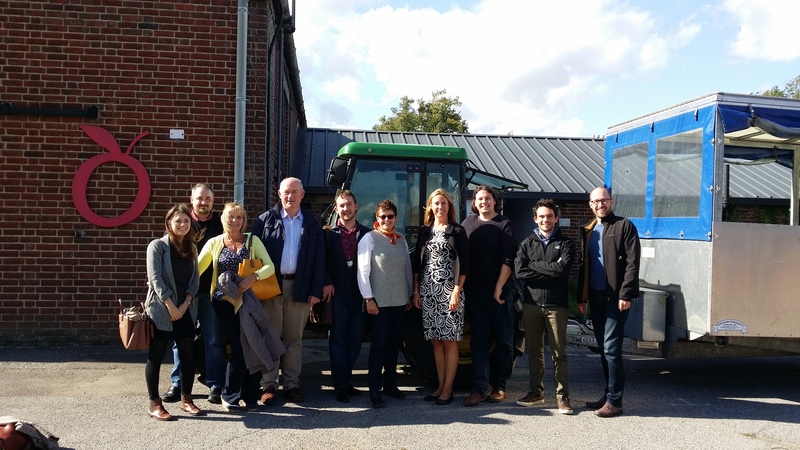 The day concluded with a tour of Brogdale – The home of the National Fruit Collection, and some members of staff went on a tour of the Gothic paintings in St Mary’s Church, Faversham.